Production of electric power and production of products such as fresh water and water by-products may be incorprated in to the design beyond the production of electric power. Wind turbine foundations using piles driven into the ocean floor have been used to support wind turbines in shallow waters but these structures present many problems as the water depth increases. The Titan Wind Turbine Platform was created to economically support a single wind turbine in water depths greater than approximately six fathoms (48 feet to 200 feet). By using proven design methods for designing jack-up drilling rigs and using newly patented jacking technology”Hydrajack” the Titan Wind Turbine Platform was designed to incorporate many advantages. Since the Titan Wind Turbine Platform, US Patent & Foreign Patented, is capable of floating with the wind turbine installed on the platform and the legs retracted, the platform and wind turbine may be completely assembled and tested at the shipyard where the unit has been constructed. Then it can be towed to the predetermined location and put into service. During the transportation phase the platform must act as a barge or ship and must be designed to have adequate stability while floating with the legs in the raised position. The shape of the hull is designed to provide stability by having the floatation compartments located at the ends of each leg of the “Y” shaped hull. The trusses near the center of the platform provide an economical structure to connect the buoyancy compartments and support the wind turbine. The size of the hull is designed to provide sufficient righting arm for stability. Transporting the platform during high waves and wind requires the metacentric height of the floating platform with the wind turbine to be higher than the center of gravity of the unit, therefore providing sufficient righting arm moments to keep the platform upright. After transporting the platform to the desired location, the footings are flooded and the legs are lowered to the sea floor. The platform is then raised a few feet above the water surface and the preload tanks filled with water. This preloading of the footings provides a vertical force on the footings which is greater than any load generated by wind on the platform and wind turbine, waves and current. The footings are spread apart to provide sufficient stability from overturning of the platform during high wind, wave and current. When the footings have been preloaded, the fins on the bottom of the footings are immersed into the sea floor. These fins provide resisting forces to keep the platform from moving laterally. The shape and size of the footings is very important. If the footings are too small, the footings will penetrate too far into weaker soils. If the footings are too large, the footings will not penetrate into the sea floor far enough to provide sufficient lateral resistance to keep the platform stationary. The size of the footings for the Titan Wind Turbine Platform has been determined from experience in designing footings for jack-up drilling rigs and is the proper size to function properly in most sea floor soils. After preloading the footings, the platform is raised to the desired elevation. This elevation places the bottom of the hull above any wave height for this location. The location of the footings and the weight of the platform and turbine provide sufficient stabilizing forces against the overturning forces to keep the platform from overturning. One of the advantages of the Titan Wind Turbine Platform is that it can be moved to another site. Or, if the wind turbine requires major repairs the legs of the platform may be raised and the platform may be towed to a dock or repair yard. After the necessary repairs are made, the platform can be returned to its previous location or towed to another location. Therefore, expensive crane barges to facilitate repairs at sea are eliminated. Wind turbine locations in shallow water are usually close to land and highly visible from land. The Titan Wind Turbine Platform is designed for deeper water depths and is intended to be located further out to sea. Therefore, they are less visible to people on shore. If the platform is placed about six miles from shore the curvature of the earth hides the platform and the tips of the wind turbine blades would be practically invisible. 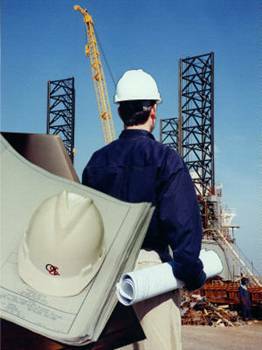 The hull design shall conform to the standards of the American Bureau of Shipping and, as demonstrated by jack-up drilling rigs, have a life span of over twenty years. The life span of wind turbines is reported to be approximately the same length of time making the design compatible. Since energy from wind turbines is a renewable power source, and because fossil fuels are becoming more expensive to obtain, energy from wind turbines will be in greater demand,. The Titan Wind Turbine Platform has many advantages over shallow water wind turbine platforms and can be located on larger areas of the earth. copywrite protected & all rights reserved. The following is intended to provide a comprehensive description and engineering specification for the Titan self-installing Wind turbine support platform. All information contained within this specification are the property of Offshore Wind Power Systems of Texas LLC and is provided for the purpose of discussion, finite design and production of the this specified equipment from Offshore Wind Power Systems of Texas LLC in the operation of Offshore Wind farms. US and Foreign patents are granted or pending for this product and are referenced within this specification. General- the Titan self-installing platform is a support structure for an offshore wind turbine that enables the turbine to be fully installed and commissioned in port and be towed to a site where the combined assembly is specifically located within a wind farm. Platform legs are lowered to the sea floor and the platform under it own power raises the platform to a operational height where the wind generator may produce power for various purposes. The entire operation of self-installation is accomplished without the use of support vessels such as heavy lift cranes or barges, only the use of a properly powered tow vessel used to locate the platform within the wind farm is required. A. Assemble the vessel main components at the shipyard and commission the vessel. Join all vessel pontoon sections and make final assembly welds. Install spud-can-leg sections in leg wells. Install portable jacks and portable control cabin; interconnect all lines of power and control. Add leg sections required for water depth requirements of the wind farm. B. Perform ABS lift test dock side. Stabilize the vessel and raise the platform the length of the leg and back down. C. Commission the turbine for service dock side. D. Tow vessel to site and locate installation specific area. E. Set and make vessel ready for site. 1. Lower legs to sea floor and raise the platform just off the water. 3. Raise platform to operational height and stabilize. 4. Make ready all turbine grid interconnection. 5. Remove jacks and cabin for re-installation of other platforms. The preceding is a simple version of the overall operation and in that operation there are many detailed events and procedures to take place which are detailed with the operational manual of the system. 2.1 Max moment at the base connection of the turbine support and Platform (lb-ft). 2.7 Harmonic conditions due to peak moment wind loading period (sec). 5.1 The vessel / platform and legs shall be ABS Class as a minim. The vessel and the marine systems will comply with all ABS rules and regulations under the appropriate guidelines. All materials of construction shall follow the “ANSI “ rules and regulations. All welding shall comply with the latest ABS, AWS and ASME rules and regulations. All electric control and power wiring shall comply with the latest ABS and NEMA rules and regulations. All hydraulic system design and components shall comply with the latest NFPA rules and regulations. All subsystems will under go complete testing for load and conductivity and minim performance prior to any sea trials. The vessel will comply with and perform a ABS lift test prior to Sea trials.